Though the alcohol industry is no stranger to risky product names and advertising, sometimes people and even state governments, think they go too far. 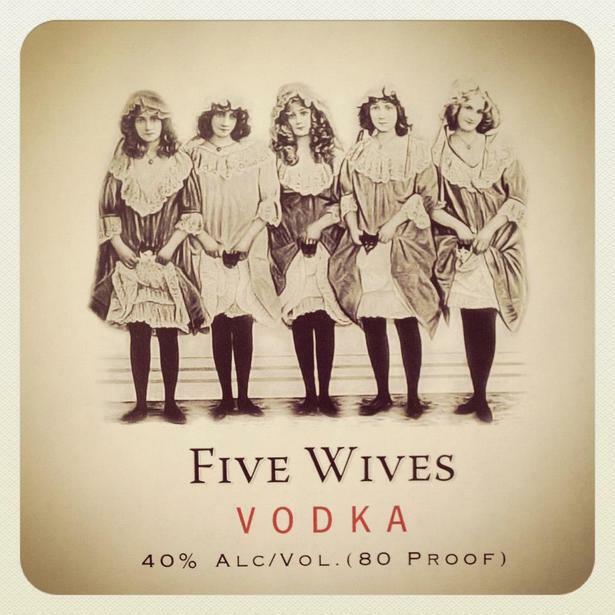 Five Wives Vodka, made by Ogden’s Own Distillery in Utah, has been rejected in Idaho. Besides the rhyming title, the bottle’s label features a black and white drawing of five young women wearing nineteenth century dresses holding kittens. The liquor itself was never sold in any store in Idaho because Ogden’s Own request for distribution was rejected. When we spoke to the head of the Liquor Division, Jefferey Anderson, he said that the liquor was never banned because it was never sold.